Lumineers are an ultra- thin version of veneers. They work in practically the same way but are much thinner- being similar in thickness to a contact lens. Despite this they are incredibly strong as they are made from a material called Cerinate porcelain. As they are so thin barely any removal of the tooth enamel is required meaning that preparation and fit is very quick and easy. It also means that, should you want to your Lumineers can be removed in the future, and the existing tooth underneath will be unaffected, looking virtually the same as it did before. 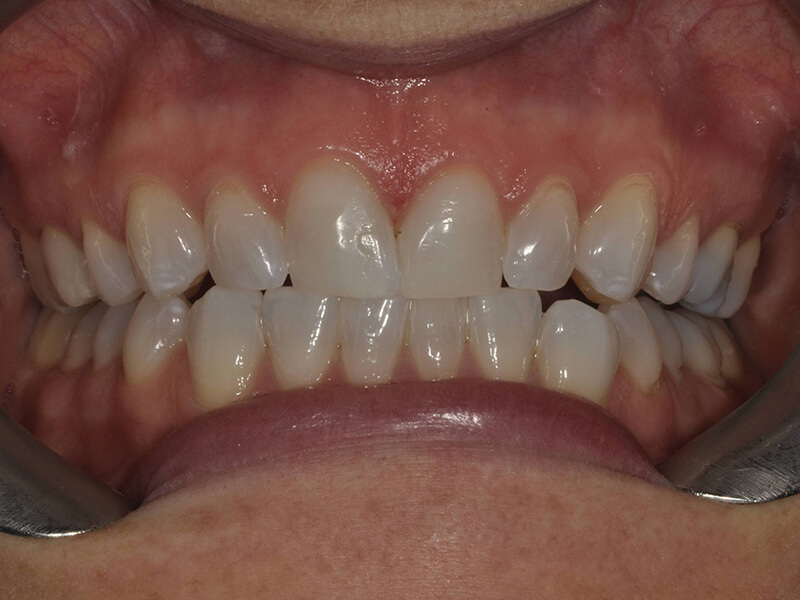 Lumineers are highly versatile and are perfect for covering discoloured, broken and misaligned teeth. 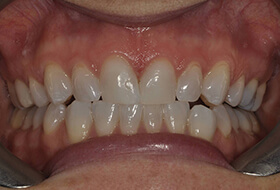 They can even be fitted to existing crowns and bridges without the need for their removal. 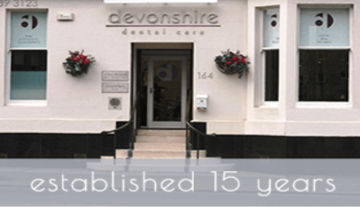 All of the Lumineers fitted at Devonshire Dental are custom made by the skilled technicians at The Denmat Lumineers laboratory. They use only the best quality, natural looking materials to ensure a truly beautiful result that you are sure to love. How will my Lumineer be fitted? Every patient is different and the process of fitting your Lumineers will vary according to personal circumstances and the number of Lumineers you require. Normally Lumineers are fitted in around two appointments. At your initial visit, your tooth (or teeth) may need to be prepared. A sanding tool will be used to remove a very tiny amount of surface enamel if required on the most crooked teeth. This will help the Lumineers to be in perfect alignment. 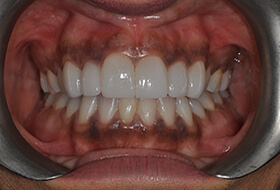 Often no preparation is needed at all which is one of the main advantages of Lumineers over normal veneers. An impression of your teeth will be taken and use to create a 3D plaster mould. This will be used to manufacture your Lumineers. Temporary veneers are almost never required for Lumineers as we do not remove vast layers of enamel like with traditional veneers. Lumineers will be carefully colour matched to your other teeth. Size, shape and position of existing teeth will also be considered. The enamel layer of your tooth will be polished to help the Lumineers stick securely. Your Lumineers will be checked for fit and then attached to the front surface of your teeth with a strong dental adhesive. It may be necessary for you to attend a follow up visit around a week afterwards to check you are happy and that your Lumineers are still securely fixed. As they are made from a very strong and durable material your lumineers should last for many years. However, just like a veneer it can still be damaged by hard foods, accidents, contact sports and bad habits such as fingernail chewing! If any of them start to feel loose at any time please contact us straight away. 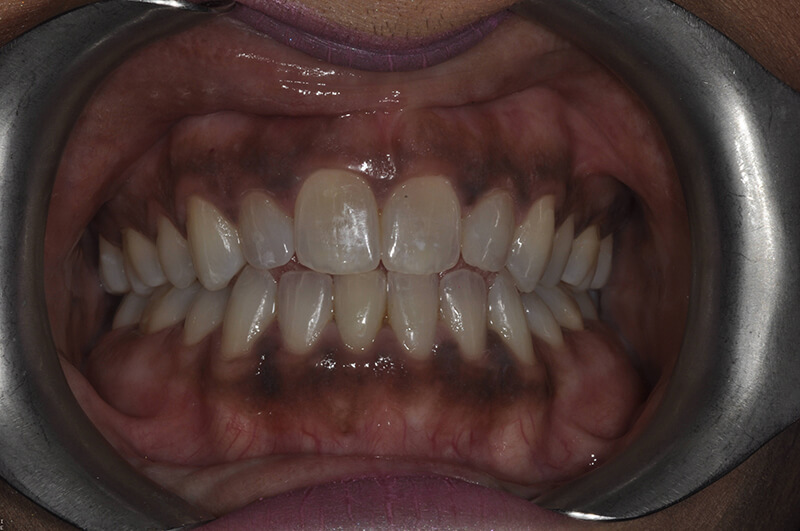 This patient wanted whiter longer upper teeth. 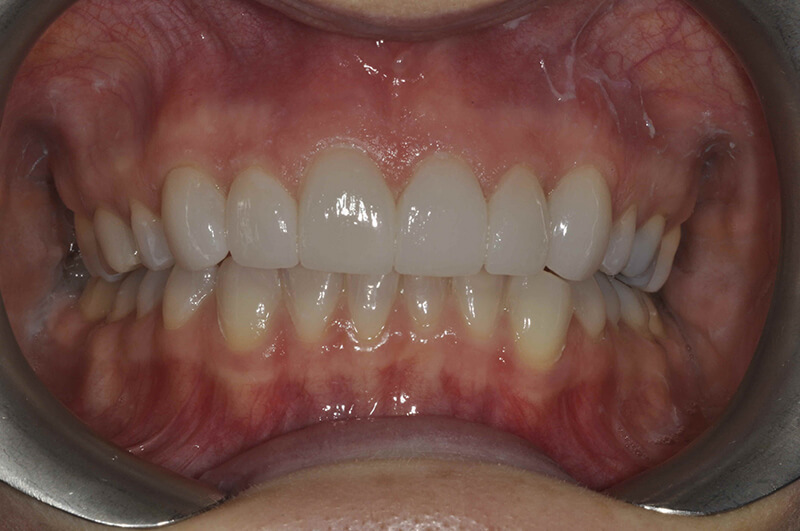 Lumineers were fitted with no preparation or damage to the existing upper front teeth eight. The lower teeth were whitened to match the shade of the new upper Lumineers. All work done by Allan Rennie. 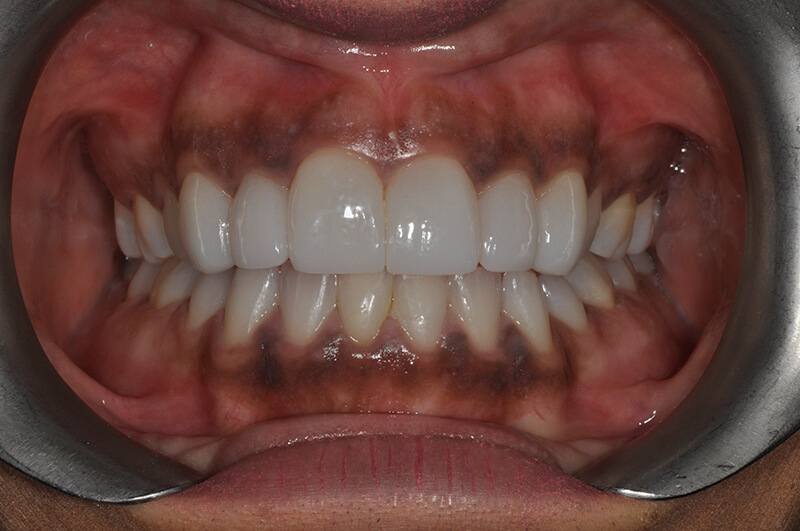 This patient wanted straighter whiter teeth. Lumineers were fitted to the upper front six teeth with very minimal preparation. So little preparation was done that no anaesthetic was required. Work carried out by Allan Rennie.